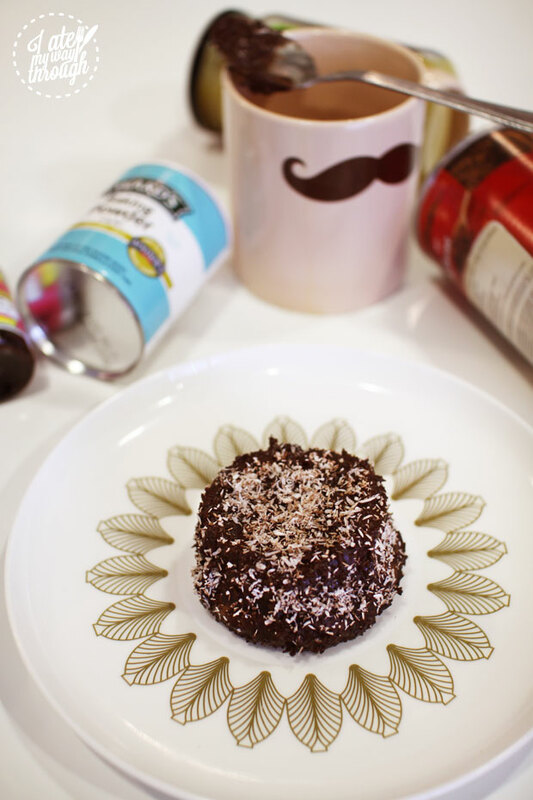 Home Desserts & Sweets Mug Cake Mondays: 3mins Lamington Mug Cake! 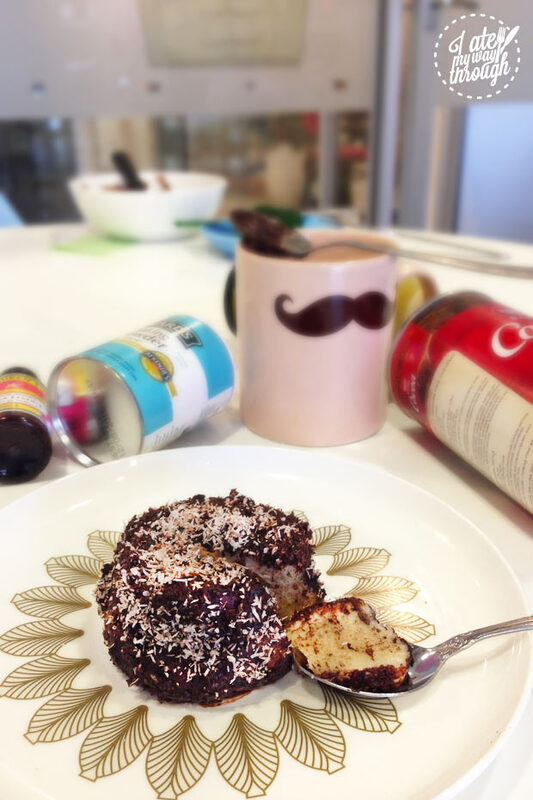 Mug Cake Mondays: 3mins Lamington Mug Cake! It’s Monday, your brain is gently resting as you cradle your grumbling stomach in angst from the limitless foodporn you’re flicking through. You’re tired from a busy day and all you want is some hot, indulgent, comfort food to ease your Mondayitis. Quick. 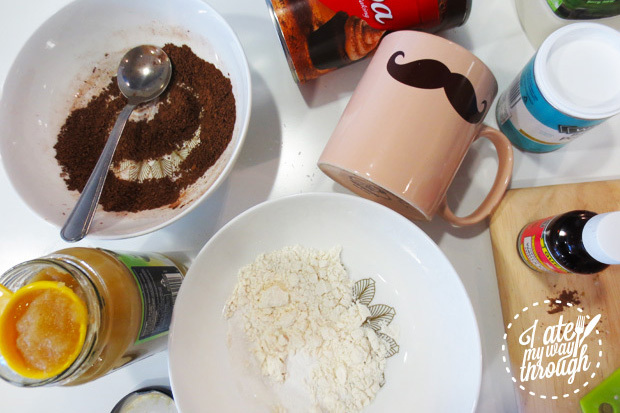 Mug Cake Mondays to the rescue! Now, the history of the lamington is shrouded in controversy, where both Australians and New Zealanders lay claim to this little cake! However, they’re both undoubtedly part of Oceania, and can frequently be seen at local fundraisers and Lamington Drives. There are a few legends to the origins of the Lamington, but the most popular story starts on a particularly hot summer’s day in Queensland, 1900. The Governer Charles Cochrane-Baillie, 2nd Baron of Lamington had arrived at his country house in nearby Toowoomba in hopes of escaping the heat with his Lady Lamington. As was the fashion in the day, hordes of guests came to visit them, and their Chef Gallad was kept busy cooking up a gourmet storm in the kitchen. In an attempt to keep up with their appetite, he stumbled upon a novel idea for high tea: leftover sponge cake, dipped in light chocolate sauce, and rolled in coconut. 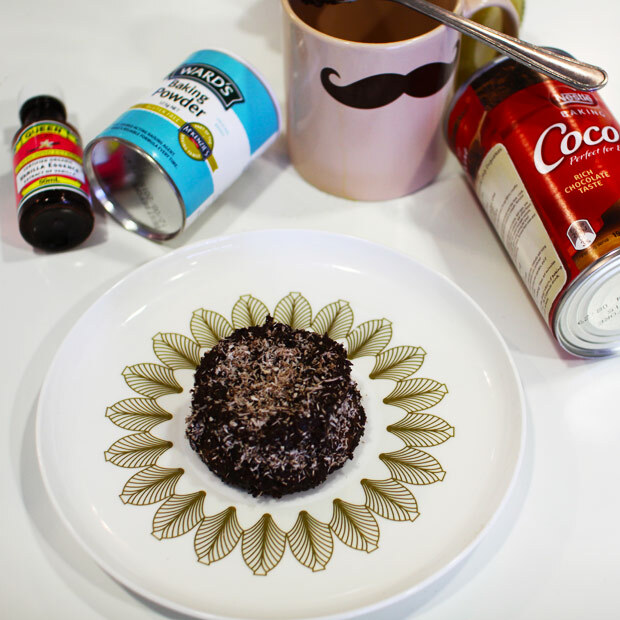 Several guests were so impressed they asked for the recipe to this delicious new treat, which was published in the Queensland Ladies’ Home Journal as Lady Lamington’s Chocolate-Coconut Cake, later shortened to the lamington. The cake looks very legitimate after the sprinkles of coconut – for some extra indulgence, add a bit of cream to serve! To make it easier to eat, you can also choose to have the chocolate coating and coconut on the side to dip in as you go – DIY mini-fondue anyone? In a bowl, mix together all your ingredients for the cake until combined (all but the last 4 ingredients). Grease your mug, and spoon in the mixture. Microwave on high for 1 minute, then at 10 second intervals until just cooked. For the coating, mix the remaining cocoa powder, sugar and milk until a paste is formed. It’ll smell delicious! Gently pull your cake from the sides of the cup and slide out onto a plate. Cover with chocolate coating, and end with evenly sprinkled coconut all over. Next articleRushcutters: Restaurant, Bar, Deli and now…a Marketplace! Delia is a contributing writer and the tour leader for I Ate My Way Through Chinatown Sydney. Currently studying Marketing, PR and Advertising, Delia lives to explore food and the world. She is hopelessly idealistic and believes dreams are what make the world beautiful. She always strives for balance in life; between work and play, health and indulgence. On any day Delia can be found sweating it out with the newest fitness fad, or gorging out on BBQ buffet. Often both. Believing in the realm of opportunities, the world is her oyster. A delicious, plump oyster that she will most likely eat.